Staying in Bologna needn’t mean missing out on the jewel in Italy’s crown: Venice. 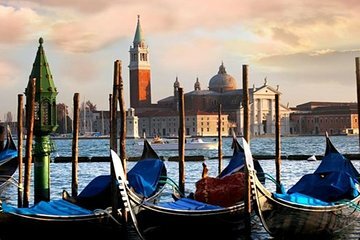 Discover the city of canals in style on a private tour with express train tickets. First, check off key highlights from St. Mark’s Square to the Bridge of Sighs and a glass-blowing demonstration on a guided walking tour. Then, board your own private gondola for a magical meander through the city’s sleepy canals.